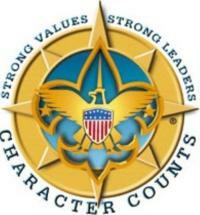 The Scout Law: Twelve guiding principles that govern our movement. Twelve points that never change. In looking up the meaning of A Scout is Kind a few days ago, I found this history of the Scout Law on the excellent Scouting website, The Inquiry Net. It is interesting to see the changes that took place in the codes of honor that evolved into our present-day Scout Law. Baden-Powell based the early Scout Law on such sources as the Knights’ code, the code of the Woodcraft Indians of Ernest Thompson Seton, the Japanese Samurai code and the code of the Zulu Indians that B-P fought against during the Boer War. They are positive affirmations, character traits, rather than thou shalt nots typically found in scripture. Interestingly, the British Boy Scout law makes no mention of reverence, though perhaps being “loyal to the King” includes being loyal to the Church of England. 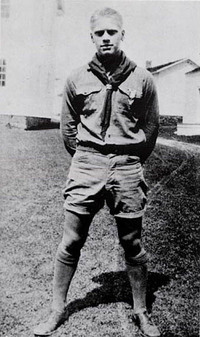 A Scout is Reverent is prominently featured in the BSA law, as it was a part of the Woodcraft Indians code. In contrast, the Woodcraft Indians were not expected to be friendly or courteous, though that behavior may be have been implied through the other points such as respecting one’s elders. Scouts never grouse at hardships, nor whine at each other, nor swear when put out, but go on whistling and smiling. When you just miss a train or someone treads on your favorite corn-not that a Scout should have such things as corns-or under any annoying circumstances, you should force yourself to smile at once and then whistle a tune, and you will be all right. A Scout goes about with a smile on and whistling. It cheers him and cheers other people, especially in times of danger, for he keeps it up then all the same. The punishment for swearing or using bad language is for each offence a mug of cold water to be poured down the offender’s sleeve by the other Scouts. This last action would undoubtedly be banned now by the BSA as a form of hazing, as taboo as holding Bobcats upside down; furthermore, punishment really has no place in Scouting, and behavior issues should be handled in ways other than by being dunked. Other minor tweaks in the narrative reflect the changing times. 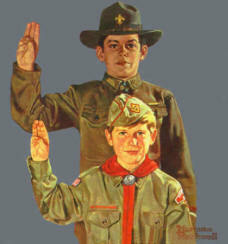 For instance, in A Scout is Loyal, the 1911 version asks the scout to be loyal to “his leader, home, parents, and country”; in 1971, adding friends and school, and substituting family for home and parents, and nation for country; “world community” was added in 1990 but dropped in 1999. The language “He offers his friendship to people of all races and nations” appeared in the explanation of A Scout is Friendly in 1999. Since Scouting exists around the world, most other countries have their own versions of the Law as well. 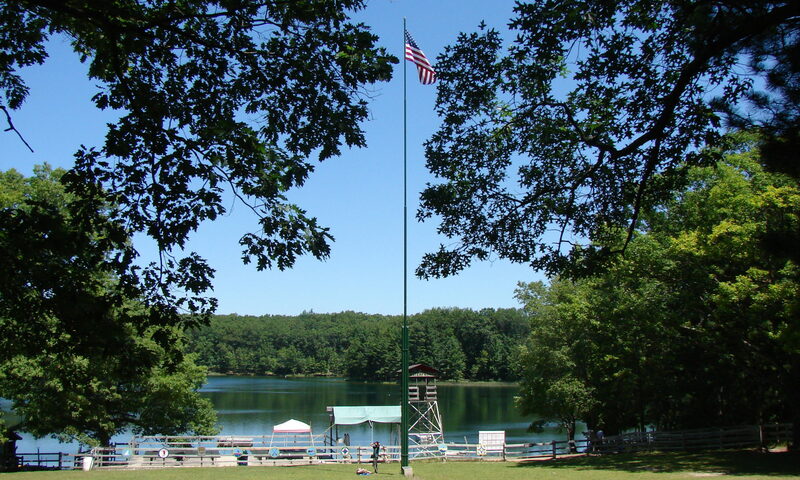 This Wikipedia page lists the Scout Laws of many countries’ Boy and Girl Scout and Guide Associations. While most parallel the BSA or Baden-Powell’s law, many include points not found in ours. In Japan, for instance, scouts are thankful; in Norway, a scout works for peace and understanding; Polish scouts do not smoke or drink alcohol; and many laws include that a scout is independent. Take some time and have some fun reading up on the present and past meanings of our Law, and encourage your scouts to do the same. It really gives deeper understanding to know how the law evolved, to think back on what it “officially” meant in years past, and to reflect on how we can all better fulfill those points in our everyday lives. Next PostNext What can Scouters learn from skaters?